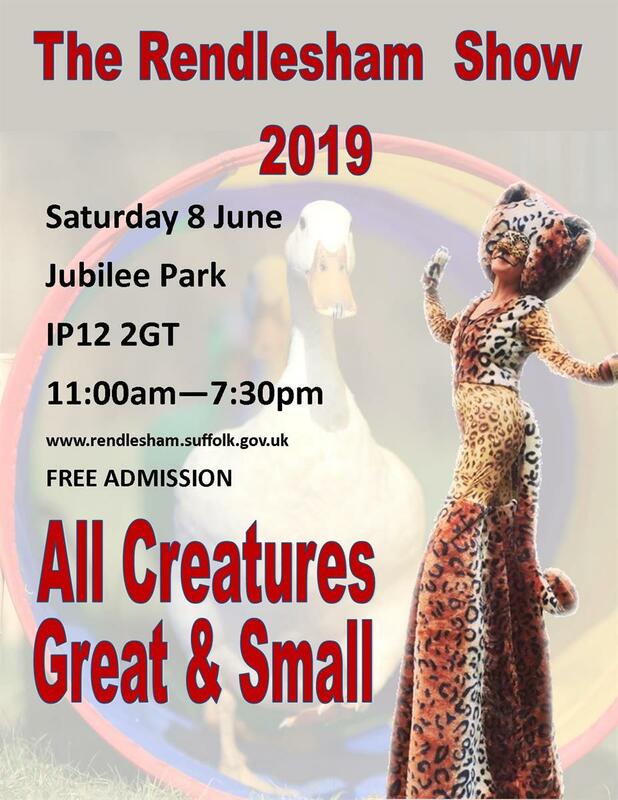 The planning team invite residents and businesses of Rendlesham to make your own creature – great or small - to put on display in your window or garden before the show. We will print a list of all participating addresses so that we can offer everyone the chance to ‘go on safari’ and find all the creatures! There are absolutely no rules: your creature can based on a real animal or be imaginary, can be any size, of any construction material and be made by as many people as want to be involved. A photo will be taken of each creature for display in the marquee alongside the Garden Show exhibits. Entry forms will be available by March, we’re advising you now so you have plenty of time to plan… Certificates for all entrants and maybe trophies for creativity! An earlier start for the Fun Fair on Friday 5:00 p.m. + a full evening of fantastic live music from 6:00 p.m.
And, a later finish for the Saturday – we’re going to be played out by The Lockerbillies 6:30 – 7:30 p.m.
It’s going to be a WOW of a show, the list of those participating is growing daily but, more volunteer help is urgently needed. Download the Pitch Booking Form Here for printing and returning to carole.brason@uwclub.net as a scanned document or photograph or for handing in to the Parish Office as a paper document. If you would prefer a Word version to complete directly online, please email our show coordinator, Carole on the above email address.